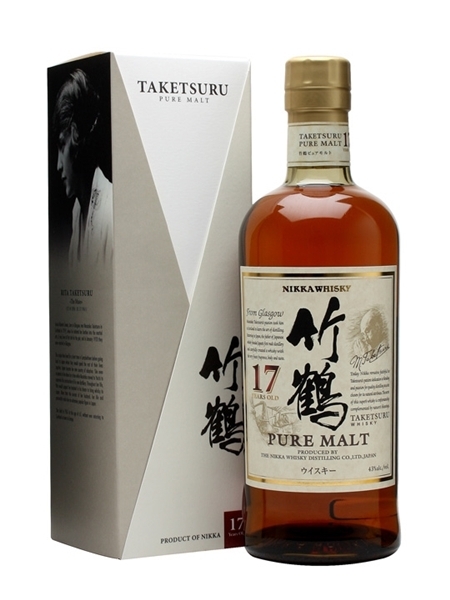 Taketsuru 17 Year Old (~€120) whisky is a blend of Yoichi and Miyagikyo single malts. A significant portion of the blend is aged in sherry casks, giving the whisky a richness of flavour. This Nikka 17 year old pure malt is bottled at 43% ABV.